The executive summary format will vary in length based on the complexity of your business. However, there are some key areas that should be included in every business plan. 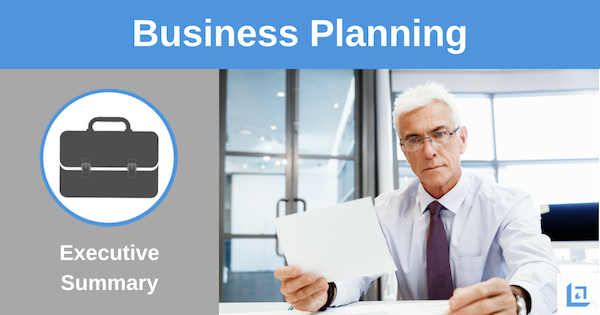 In this section of our Business Planning Course, we'll walk you through each area and provide some helpful hints. 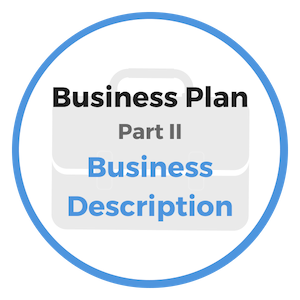 Note: Although the executive summary is located first in the business plan, we recommend that you write this section last to ensure that all of the information in the business plan is properly summarized. The Executive Summary is a critical part of your business plan. Here is where you provide a concise overview of your vision and how you plan to make that vision become a reality. This is the first section of the business plan so it's imperative that you quickly grab the attention of the reader, who is typically a prospective lender, and hook him into wanting to learn more. More than any of the other section that will follow, the executive summary is key to your success because it's the first impression the reader will have of your business. This is your one-time opportunity to make a great first impression and demonstrate why you believe that your business idea will be successful. "Leverage is produced when you're focused on the activities that produce real results. Ultimately, business success is measured by profits - the numbers have to add up!" Provide a concise and accurate description of your business, including goals and achievements to date. If your business is already established, describe what it set out to achieve; how it has accomplished goals to date, and what key objectives are next. Provide the reader with a clear summary of your vision - how and when you intend to make this vision a reality, and how you will overcome any barriers to success. Make the reader feel your excitement for the road ahead. If they don't believe you are excited to lead this business to victory, chances are they won't be excited to finance it. So, GET EXCITED! Explain the mission of your business. Optionally, provide insight on your motivation for taking on this mission. Share your passion. Describe unique or distinguishing factors that will help to ensure your business plan is successful. For example, your expertise, special skills, technological advantages, etc. If your business is brand new, you will not have all of the information detailed in the above executive summary format. Instead, you will need to focus your comments on your background and why you believe you have the necessary knowledge and skills to make your dream into a reality. You'll base much of your plan on projected results versus actual accomplishments to date. That's okay, simply adjust the executive summary format to meet the needs of your specific business plan. There is a false idea of what constitutes real genius and business success. This myth is one of the key stumbling blocks that stand in the way of a person's prosperity. There is a sense by many that only those who are blessed by the almighty at birth; ordained to rise to greatness and lead others, have any chance of becoming the top in their field. This is absolute nonsense! The genius that has accomplished great things in the world, as a rule, is the genius of downright persistence and hard work. Focused and committed EFFORT is the one single thing that has always transformed the world. You can spot the person who is most capable of making a resolute effort whenever called upon. The surest sign of a leader who can accomplish great things, is the one who possesses a hunger for achievement; a longing to grow and become more, to be somebody of significance; to do something worthwhile in this world. It is truly astonishing how much power there is when one possesses an intense desire and determination to accomplish a thing, anything, no matter how easy or difficult it may be. As a rule, it is this intensity; that hearty appetite within you for achievement in your business; that thirst for knowledge that must be quenched, which will measure your success in business and in life. Great business leaders of the past did not enjoy the convenience of what technology provides us today. All the necessary tools are at your disposal. Follow the executive summary format above, and continue in our business planning course to ensure your business is prepared for great success. 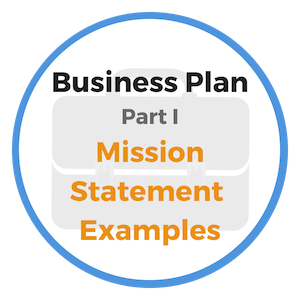 Use the Business Plan Template while completing this course and you'll be well on your way. 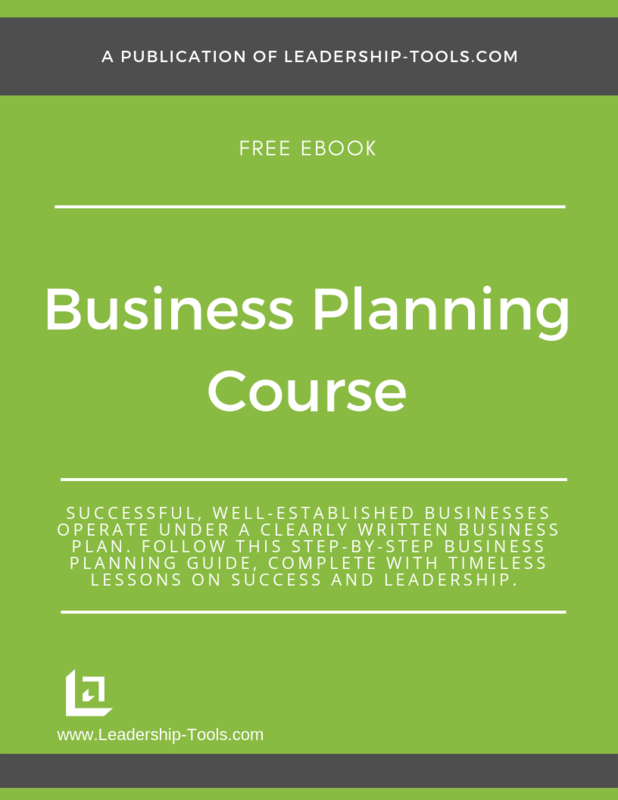 To download our free Business Planning Course/eBook, providing step-by-step instructions for planning the future of your business, simply subscribe to our free newsletter. You will immediately receive a password that grants access to our entire leadership tools library.